Dr Harith Bin Ramli works on the history of early Islamic thought, focusing on the formation of Sufism and Islamic theology. 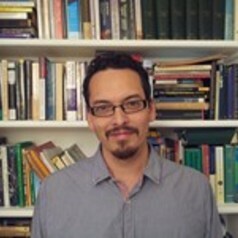 He received his BA in Arabic and Middle Eastern Studies from the University of Durham in 2004, and MPhil in Medieval Arabic Thought from the University of Oxford in 2006. He then continued as a doctoral student at Oxford, receiving a DPhil in 2012 for his thesis on epistemology and theology in the fourth/tenth century text Qūt al-qulūb of Abū Ṭālib al-Makkī. He has taught courses on Sufism and Islamic theology at SOAS and the University of Nottingham, where he was a teaching fellow from 2013 to 2014.